I would have completed my 2010 running goals in late December but my bout with pneumonia got the best of me. 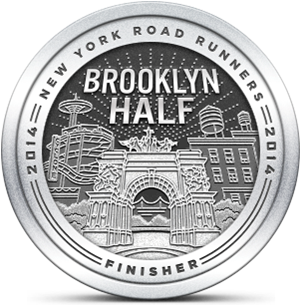 Even during my recovery I was a bit diffident in terms of what I'd be capable of accomplishing as a runner. My weakened condition made me feel like I'd never run again like I had in the fourth quarter of '09 where I did my best running to date. After this weekend's runs I feel much better about what I could accomplish. I was reading fellow runner/blogger EZEthan's recent post if his 2010 running goals and it prompted me to focus on mine. 1. Fully transition to mid/front foot running style. I'm still very intrigued by the things I read in the book "Born to Run" about the Tarahumara running style. My father, who has been walking the streets of NYC for decades, told me that he's moved fully to a front foot walking style and is seeing great benefits. I'm right behind you Dad! 2. Raise at least $200 for charitable causes by donating per race mile. 3. PR in a race - preferably in a longer distance than 5K (but I'll happily take a new 5K PR!). 6. Participate in at least 5 races. Bonus points for running one in NYC. I think my approach to running in 2010 will be less focused on competitiveness and more on perfecting my style and efficiency. I really want to consistently reach the state of fully pleasurable running. I think achieving that will be a gateway to longer distances (13.1 miles?). In the meantime the goals are set. I'm ready to start knocking them down. 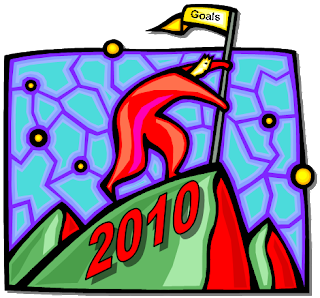 One more thing - Runners's World just posted their top 100 running blogs for 2009. The Emerging Runner came in at #4! Great Goal setting. I believe they will all be achievable for you. Congrats on the #4 blog. May one of your goals also include being healthy with no major ailments. Take care. Thanks Kenley. You are so right - keeping healthy has to be the #1 goal. Congrats on your blog coming in at #4!! !